Many years ago, I had a neighbor who was a beekeeper. We used to joke about him giving me a discount on honey, because I was sure his bees spent most of their time in my flower garden. I didn’t realize how true that was, until he moved away and the honeybees went with him! Now some new neighbors have moved in down the road, and lucky for us, one of them is a beekeeper. 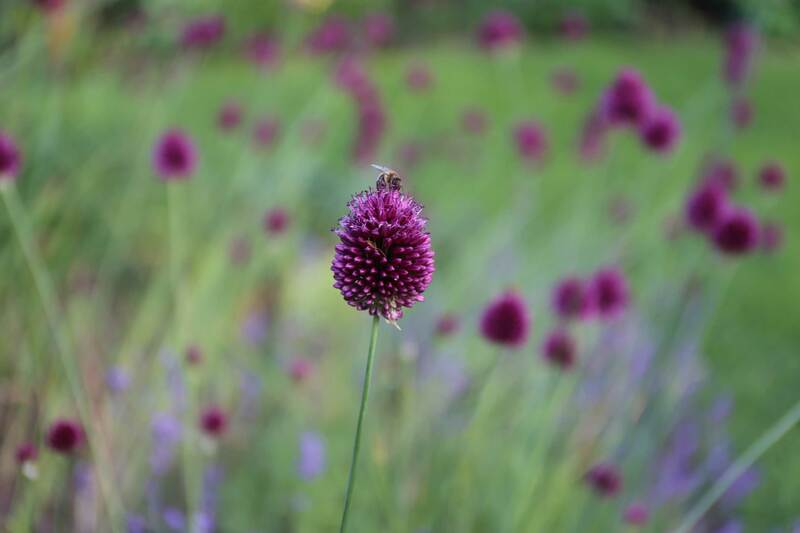 In no time at all, my garden was once again honeybee central. Now it is positively buzzing with bees, from the first snowdrops in March to the last asters in November. If there’s a flower in bloom, you can be sure there’s a bee in it. Flowers with flat centers offer bees more nectar and pollen than double flowers that have many layers of petals. This year I am adding Shasta daisies, more rudbeckia and more mums. 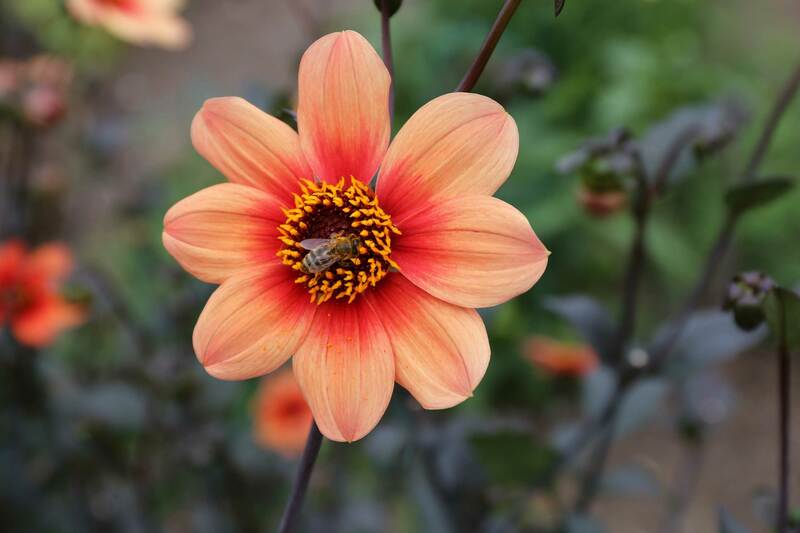 I am also planting more single flowered dahlias such as H.S. Date and H.S. Flame. 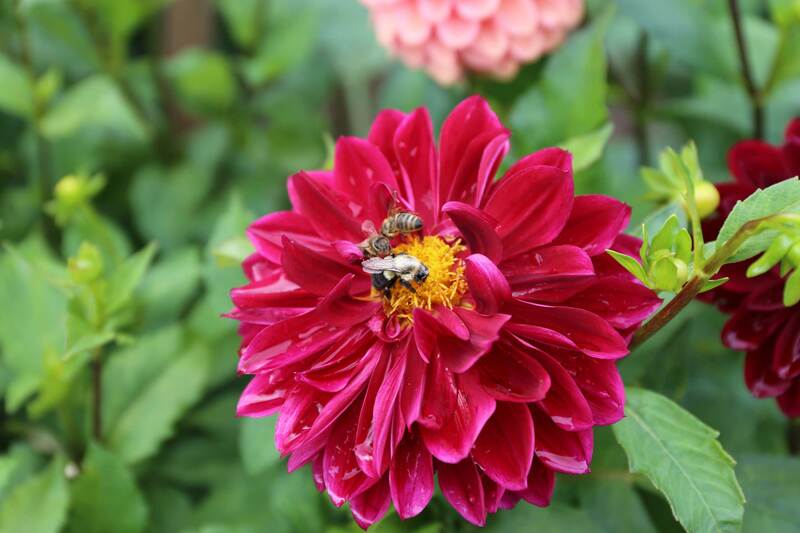 For other bee-friendly flower recommendations, read Best Flowers for Bees. Bees see differently than we do. Big blocks of flowers (at least 3 feet across) are easier for them to see and consequently more attractive to pollinators. If you’re growing flowers in containers, grouping the containers together creates the the same effect. 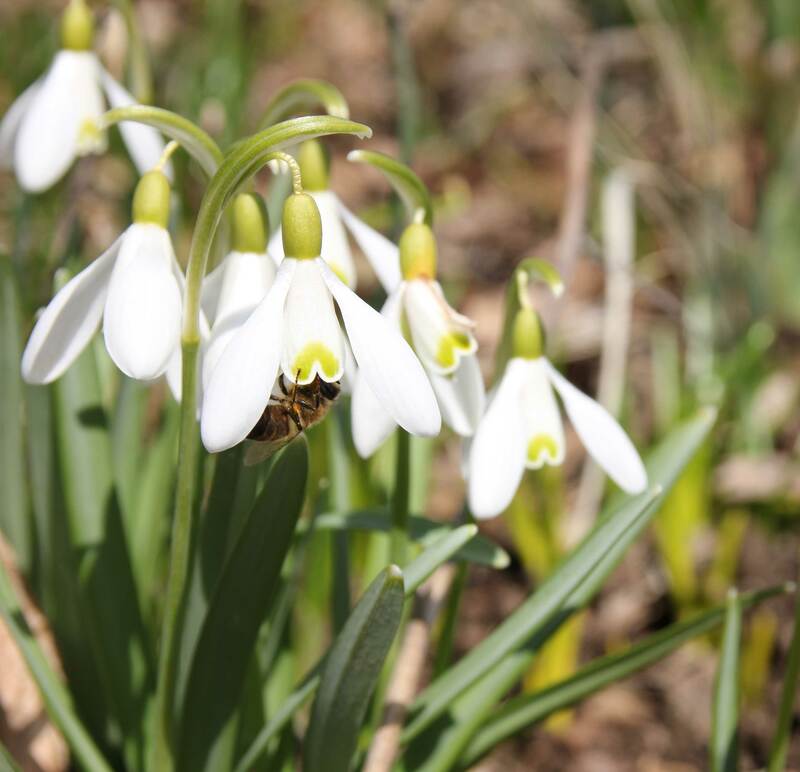 If you grow snowdrops or crocus, you know that bees are as eager to see those first spring flowers as we are. As a flower gardener, my goal is to always have some sort of flowers in bloom. And that’s exactly what bees, want, too. You can use our bloom time chart to help plan for a non-stop succession of flowers. 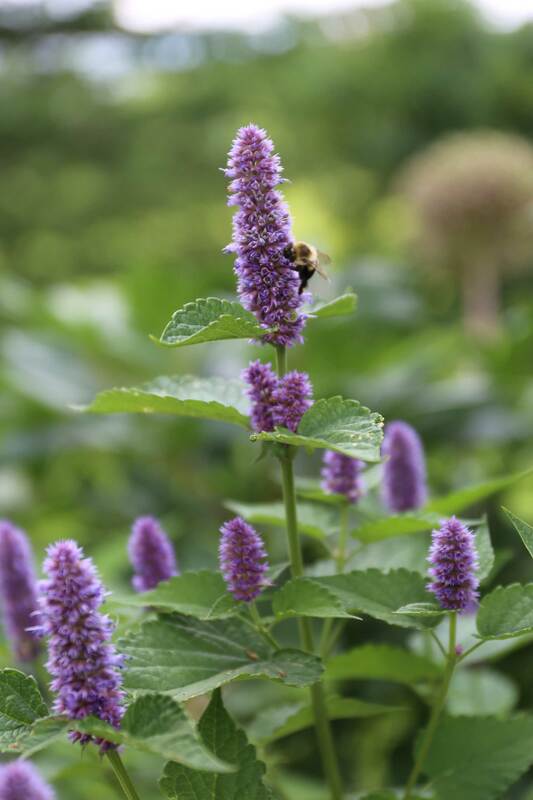 Honeybees and bumblebees are generalists that feed on a wide range of plants. They are also social creatures that live in hives or shared nests. 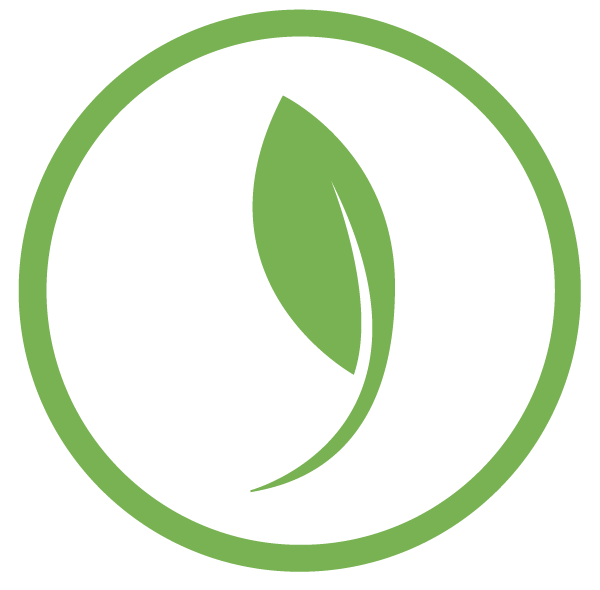 Both of these traits make them particularly vulnerable to environmental stresses. Native bees, on the other hand, tend to be solitary and more specialized. 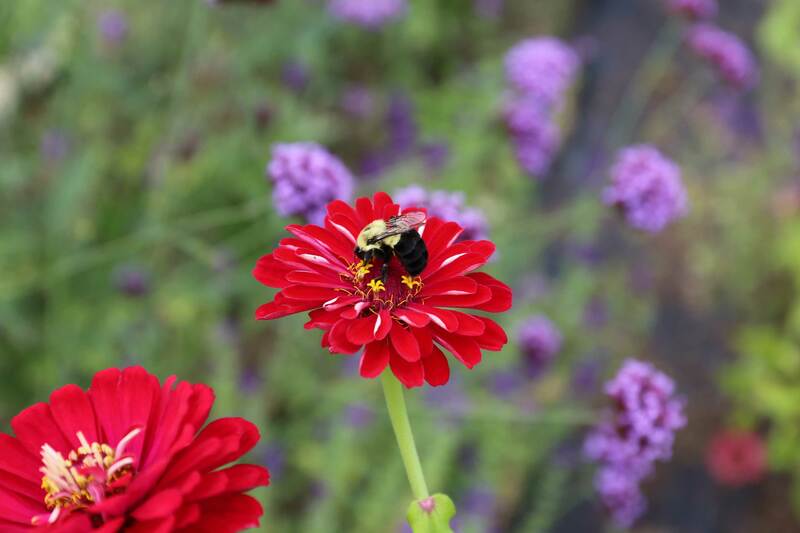 Planting flowers with different colors, heights and shapes will attract and support the widest range of pollinators. Most pesticides are as deadly for bees as they are for other insects. That’s true for organic versions, too. If foraging bees pick up contaminated pollen and nectar, they bring it back to the hive where it can accumulate and harm others. As a general rule, avoid applying dusts or sprays when flowers are in bloom. If that’s not possible and you need to use an organic pesticide, make sure to apply it when there is no wind, and when bees are not active — in the early morning or at dusk. 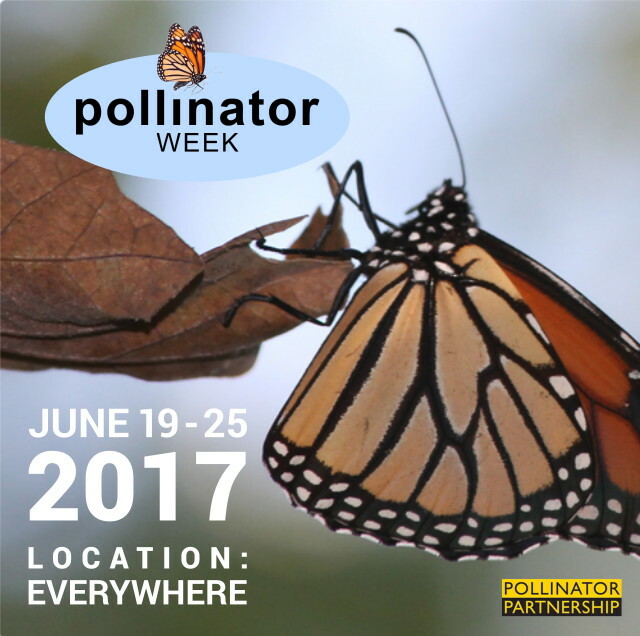 Next week is National Pollinator Week, an annual event that’s sponsored by the Pollinator Partnership. 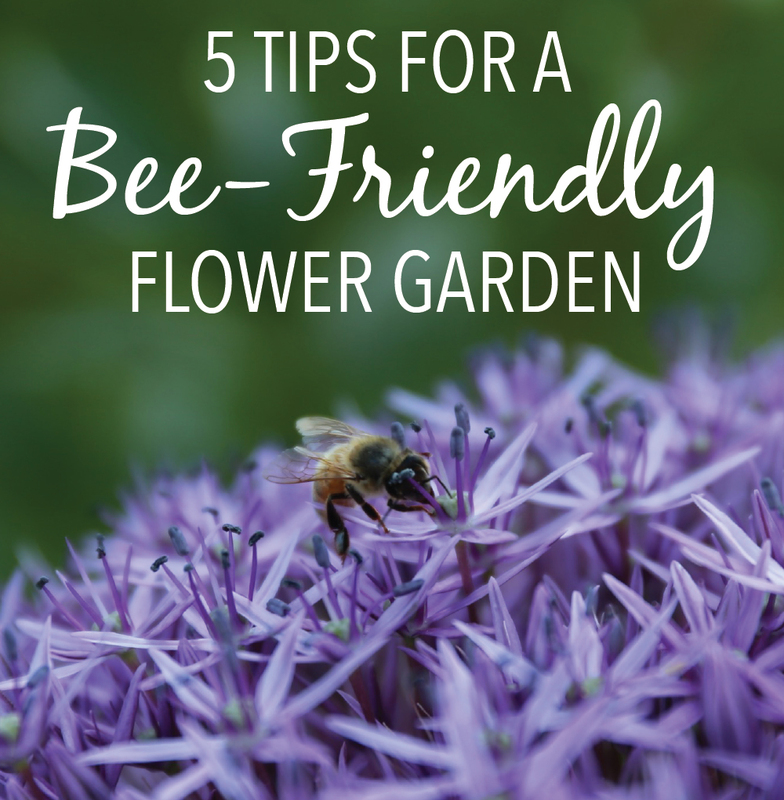 Check their website for a list of special events, regional planting guides and lots of other information that can help you make your flower garden more bee-friendly.